Tremor Program Services is designed to increase awareness and provide education to both patients and caregivers on essential tremor and FDA approved treatment options. 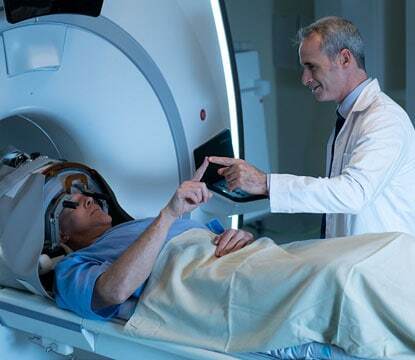 In particular, we educate patients on Neuravive incisionless focused ultrasound treatment for those suffering from essential tremor who have not responded to medication. We can help connect prospective patients with treatment centers offering Neuravive, where a treating physician can determine the patient’s candidacy for treatment. Neuravive is an incisionless treatment for essential tremor patients who have not responded to medication. The Neuravive treatment is performed with Insightec’s FDA-approved Exablate Neuro device, which uses sound waves to precisely treat deep in the brain guided by MR imaging. During the Neuravive treatment, ultrasound waves pass safely through the skull without a need for incisions, permanent implants, or radiation. These sound waves are focused on a small spot in the brain, the Vim nucleus of the thalamus, considered to be responsible for causing tremor, to create a tiny ablation or burn. For many patients, the result is an immediate improvement in their hand tremor with minimal complications. The following testimonials may not be representative of all treatment outcomes. The Neuravive MR-guided focused ultrasound treatment is a Medicare covered benefit in many states and is covered under several Blue Cross Blue Shield plans. There is the possibility that your tremor may return after the Neuravive treatment, or that the tremor may not improve at all. There is a risk that you could develop temporary or permanent numbness/tingling, imbalance, unsteadiness, gait disturbance, and muscle weakness. And while the treatment may improve your tremor, it’s important to understand that it does not treat the underlying disease nor prevent its progression. For short periods of time during the treatment you may experience nausea, pain, or other sensations.